Vertebrates are remarkable for their ability to select and execute purposive actions: motor and cognitive skills executed at the right time and in the right manner to thrive in dynamic, often competitive, environments. A purposive action requires one to extract information from experience and act upon that information by executing the requisite movements to obtain a desired outcome. Subcortical basal ganglia circuits are a key link from the telencephalon to the mesencephalon; putative neural substrates of inference and action, respectively. Basal ganglia are a critical nexus thought to be especially important for modifying future action according to prior experience - reinforcement learning. 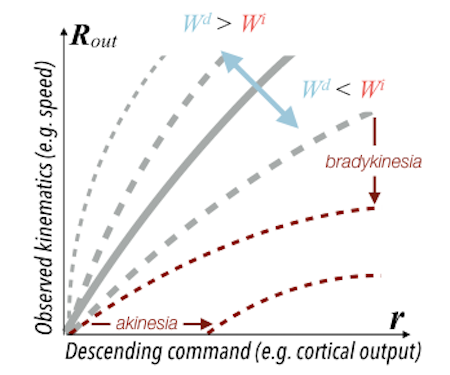 Recent work from our group has led to the articulation of a mechanistic model of basal ganglia computation with substantial explanatory power. Briefly, we propose that basal ganglia can enact a history-dependent gain on descending neocortical activity. This gain can manifest as the regulation of movement vigor or the timing of actions depending upon what aspects of behavior are being reinforced. Ongoing work in the lab seeks to test key predictions that can be formulated from this perspective. Although we often focus on the ability of a skilled movement to be executed rapidly and with precisely replicated kinematics; motor skill is also characterized by the flexibility with which an action can be executed while reliably achieving a goal. For example, the ability to flexibly act with a range of vigor (e.g. amplitude, speed) is an essential aspect of skill. Several lines of evidence suggest that basal ganglia play a critical role in the purposive control of movement vigor in mammals. To study the circuit mechanisms underlying the control of movement vigor we developed behavioral paradigms to study precise movement kinematics in mice performing voluntary movements of a joystick. 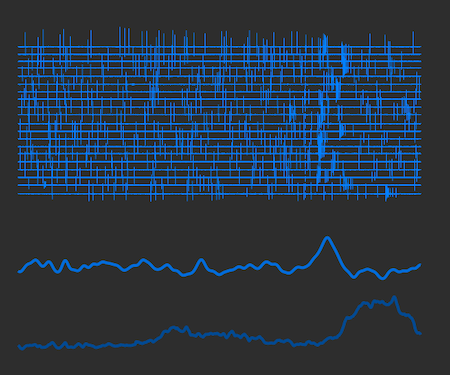 In a genetic model of Parkinson's disease we found that parkinsonian mice also exhibit a profound enervation of joystick movements. Subsequent work provided a mechanistic account of these deficits in the absence of dopamine: closed-loop optogenetic stimulation we showed that dopamine-dependent plasticity allows specific cell types in basal ganglia to exert a bidirectional, opponent control over movement vigor. Ongoing work in the lab seeks to understand the principles that govern how basal ganglia control movement vigor. For exmaple, how are competing demands for specificity and generalization balanced? Adaptive decisions in the presence of uncertainty requires the inference of probabilistic models. For example, financial decision theory posits that selection of optimal portfolios requires information about both the mean and variance of expected returns. In natural(istic), dynamic environments the timing of events may have an arbitrary uncertainty. Accurate inference of such variability is essential to optimally obtain desired outcomes. We find that mice can infer the extrinsic variance of event timing and choose optimal waiting times even in highly variable environments. 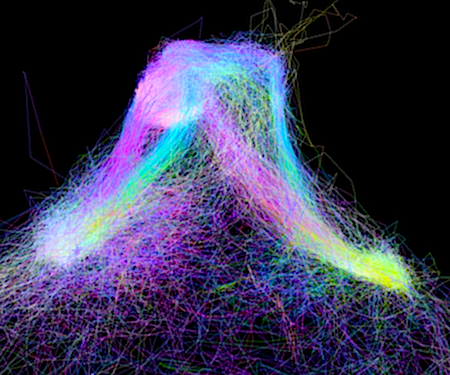 Ongoing work in the lab seeks to address how these computations are performed and how such intelligence is turned in to adaptive action. For example, is a heuristic that approximates optimal computations used or does the brain explicitly operate on probability distributions? How are cortico-basal ganglia circuits coordinated to control action? Does an agent remember which action they took? At their best systems neuroscience, cognitive science and psychology have all contributed to the development of deep insights into the algorithms that account for detailed, quantitative aspects of overt behavior. Systems neuroscience has had influential successes in the observation of neural activity that correlates with (represents) key elements (quantities, dynamics, etc.) computations that could implement such algorithms. In recent years it has become increasingly possible to manipulate activity in increasingly precise ways in attempts to demonstrate that these computations are causally related to the observed behavior. 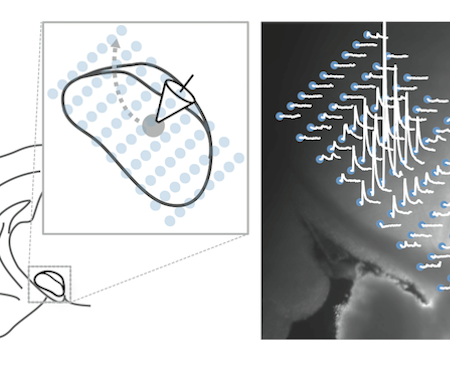 Mechanistic models of circuit computations ultimately require detailed understanding of how the biophysics of individual neurons and properties of connectivity implement observed computations. 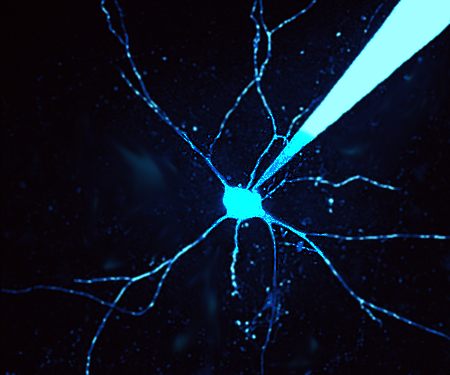 Drawing upon our background in cellular biophysics and synaptic plasticity, we also seek to articulate how biophysical properties of neurons, synaptic plasticity rules, and patterns of anatomical connectivity give rise to circuit computations. 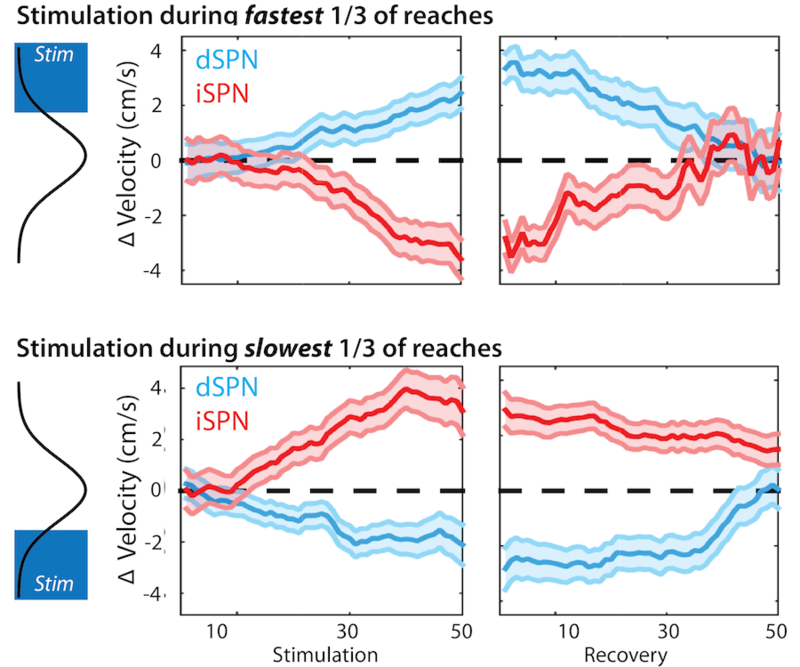 In recent work we have described how the reward prediction error correlate results from temporal integration of two dissociable pathways and how recurrent connectivity in substantia nigra implements feedback gain control. 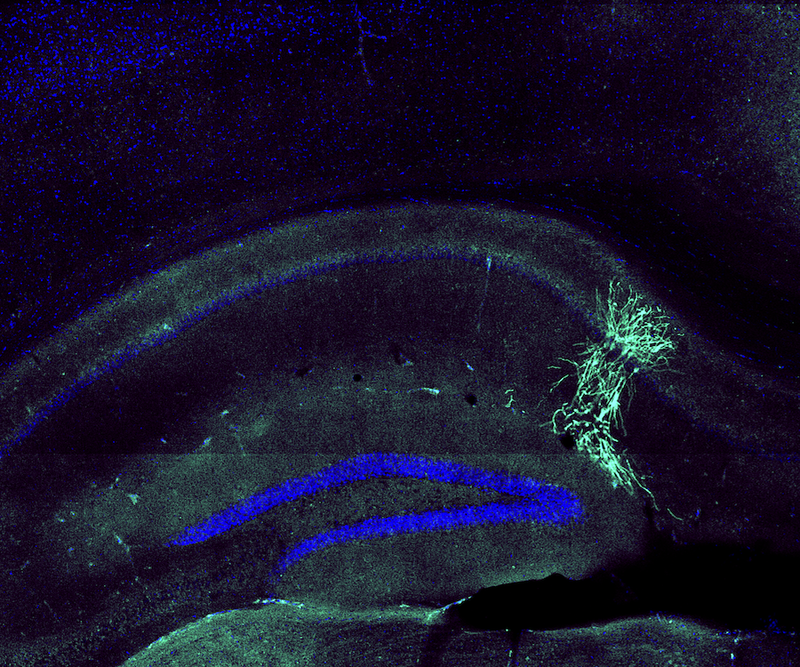 The work in our lab combines large-scale extracellular electrophysiology, optical recording, and intracellular electrophysiology with techniques to identify and perturb the activity of specific cell types and circuits in the mouse brain. This constellation of technical approaches requires significant development of hardware and software for data acquisition and analysis. We are also actively involved in developing and refining molecular tools that allow us to identify, target, and manipulate specific cell-types in concert with physiology. 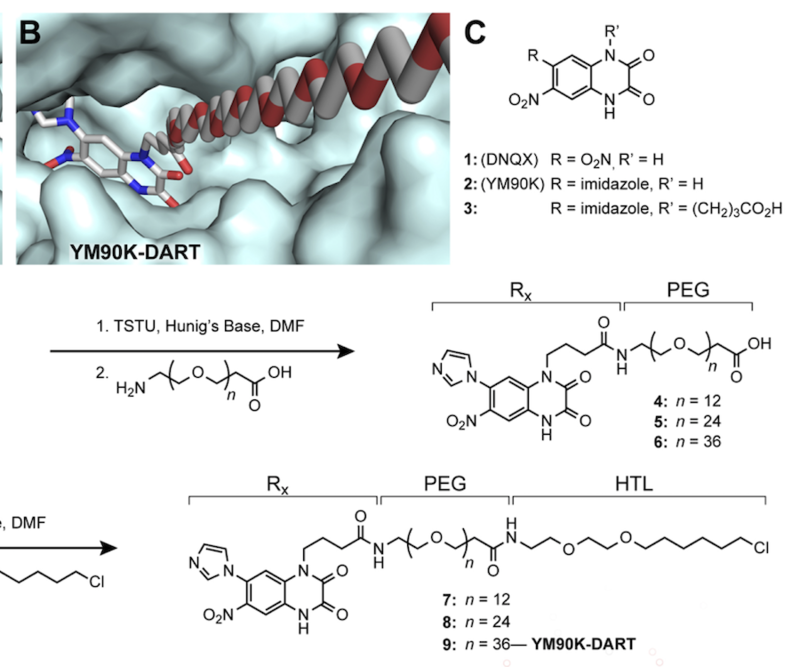 In our recent work we have helped to develop and validate the cell-type specific pharmacology in vivo using DARTs and developed a new class of optogenetic inhibitor exemplified by FLInChR. We draw heavily upon the expertise of many staff scientists and engineers in the jET, Virus Services, Transgenic Mouse Facility, and Scientific Computing. Some of the fruits of our labor can be found on the resources section of the website where there are details about how to recreate the hardware developed for our experiments and software available for download. 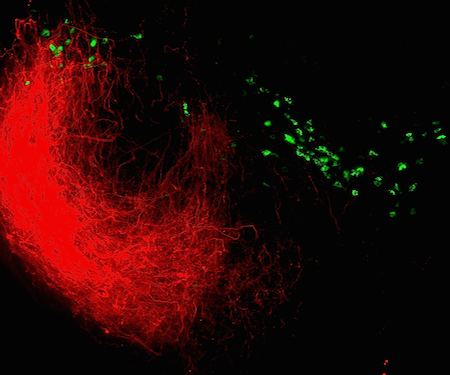 Exploring circuit mechanisms of basal ganglia function. As one example, in recent study we used closed-loop optogenetic stimulation and behavior to infer a novel learning rules in striatum. We are interested to explore the implementation of this learning rule at multiple levels of implementation from single cells to interareal circuits. Further in ongoing work we are interested in the generality of this learning across diverse tasks and modalities. 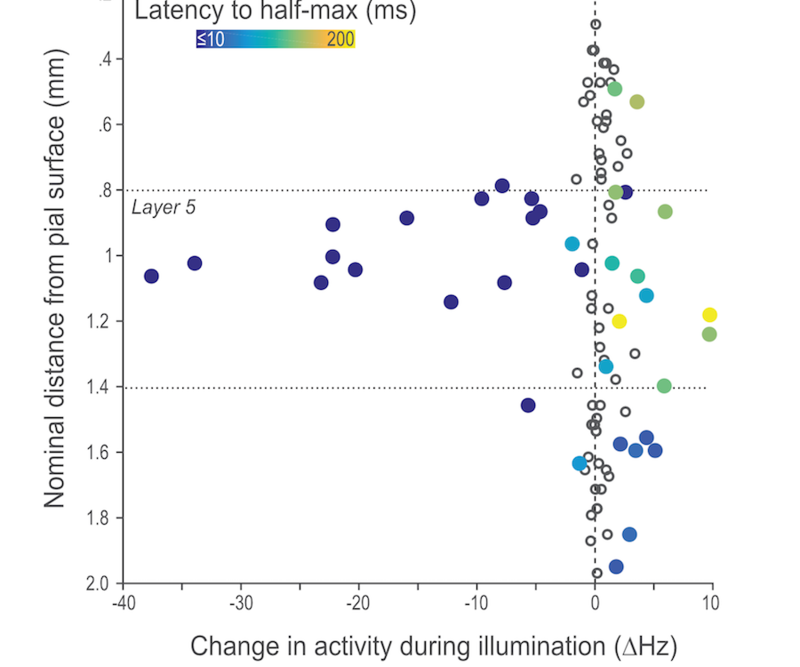 Tracking changes in neural activity throughout learning. 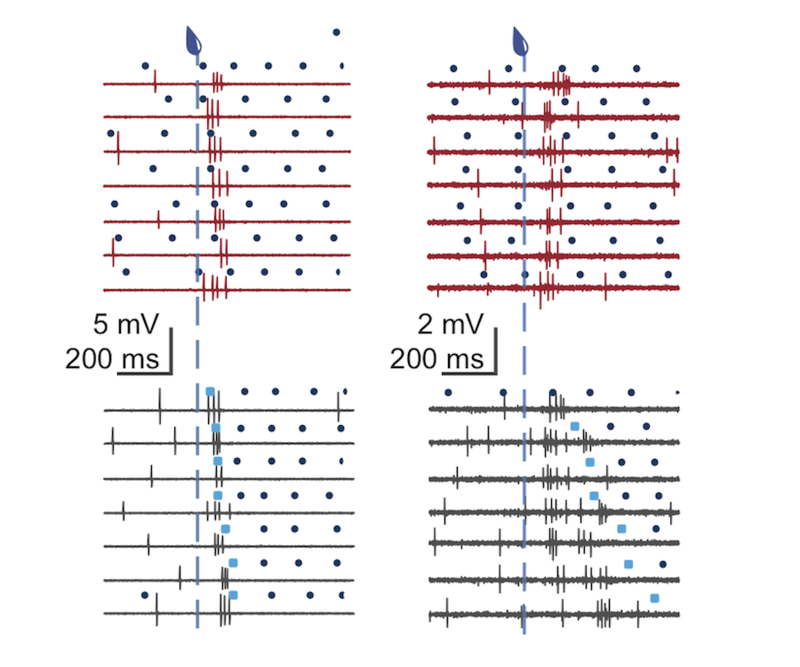 For example, in our recent work we used multiple approaches to examine how midbrain dopamine neurons change over novel learning. These surprising observations lead to a number of interesting questions about the acquisition of novel behavioral tasks. 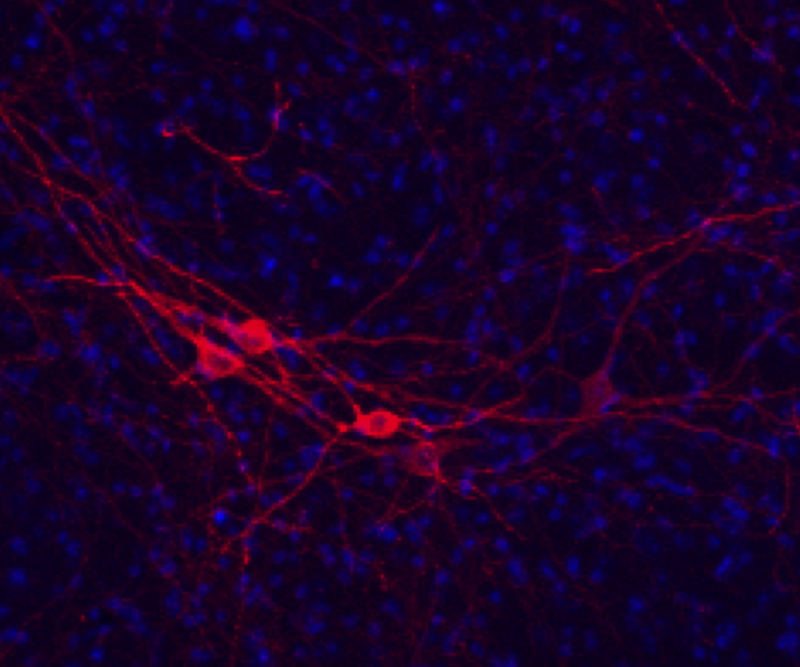 We are particularly interested in developing new methods or combining approaches to track neural activity of identified cell types. Developing novel tasks to study flexible strategies and motor skills. Over the past several summers undergraduates in the lab have piloted diverse tasks for studying how goal-directed motor skills are executed and how flexible actions adapted to changing demands. Often such projects involve developing new hardware or modifications of existing software.